Wife, Mother and Artist: Stephanie Kuglin finds her calling at the pottery wheel. Travel to southeast Minnesota and you will find yourself in Historic Bluff Country where beautiful rolling hills surround small quaint towns. Venture there the weekend of April 26-28 and a host of artists will be opening up their studios for a tour showcasing their artwork. 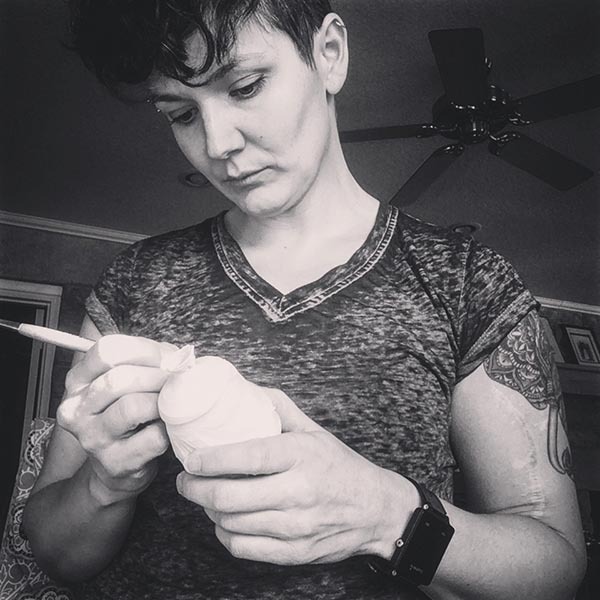 This month’s Women in Arts column features Rochester ceramic artist Stephanie Kuglin, who will be part of the Bluff Country Studio Art Tour, representing Hilltop Clay at Lanesboro Community Center. 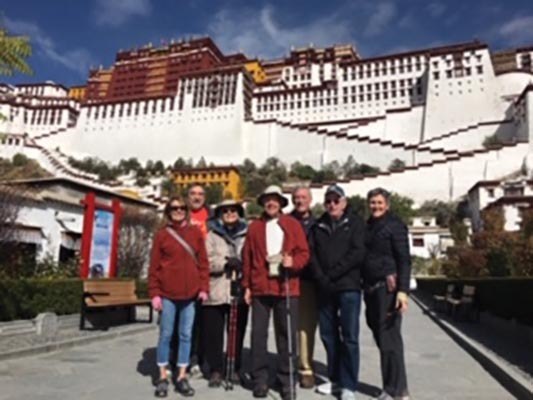 This entry was posted in Travel on February 20, 2019 by Joy Blewett. I went on a bike trip to China in 1982. I felt that China was so familiar to me—as if I knew it from a past life—that I became a tour manager in order to return to China. Tibet was included in my tours in 1993. After working for Chinese tour companies, graduate school coursework for East Asian studies and immersion in Chinese culture and language, I began organizing my own tours in 1997. In addition, I lived in Shanghai for two months in 1999 and spent 19 days in Tibet in 2007, on “kora” (pilgrimage) to Mount Kailash in central Tibet with additional travel to western Tibet—both times on my own. My last trip was in 2012, and I thought I had retired from organizing tours. After long consideration and inspired by my commitment to my Buddhist life and study and my work with our initiative declaring Rochester a Compassionate City, I organized a different kind of trip for the end of October 2018. This entry was posted in Travel on January 2, 2019 by Catherine Ashton. Perhaps, all you have known of dogsledding is that it involves a sled being pulled by one or more dogs. 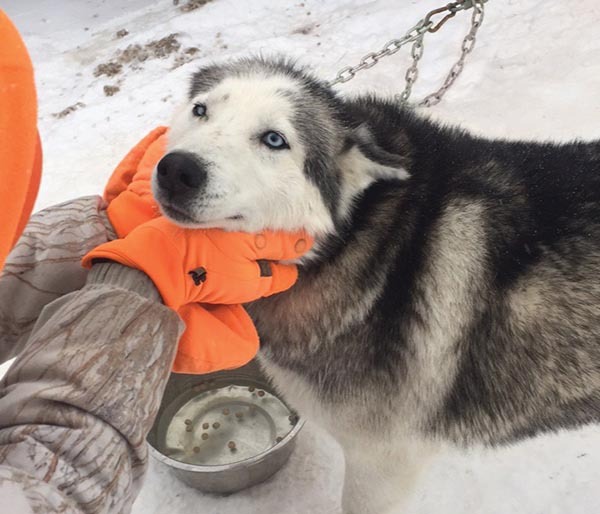 I didn’t know much more until I had the opportunity to participate as a volunteer at the Apostle Islands Sled Dog Race in Bayfield, Wisconsin last winter. I saw firsthand how dogsledding continues to enrich society. After a wonderful introduction to the activity I wanted to find out more, and I’ve discovered dogsledding is quite a dynamic activity. Experts believe dogsledding began around 1000 A.D. to transport items and people long distances, over arctic landscapes. Dogsledding today promotes understanding and respect for the Inuit and appreciation for history of other cultures. Some people are drawn to the history, the exhilaration of a race or being immersed in nature; however, it’s most often the community that keeps viewers, volunteers, participants and competitors coming back for more. This entry was posted in Travel on January 2, 2019 by Tiffany Hansen. 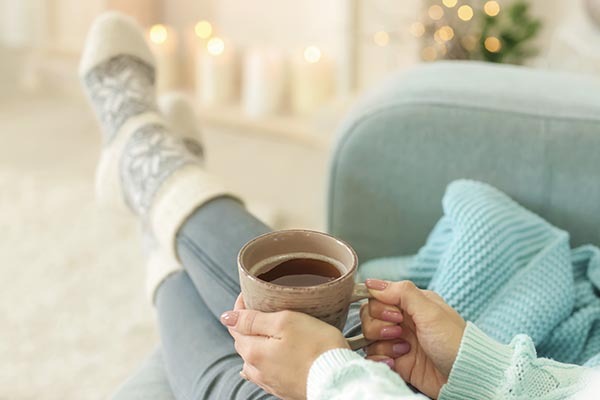 While Grand Marais is wonderful to visit anytime of the year, you just may want to mark your calendar for February 8-14, as the town will host their third annual Hygge Week, which is seven days devoted to all things cozy. Hygge (pronounced ”hoo-gah”) comes from the Danish word meaning “to give courage, comfort, joy.” The expression encompasses an attitude of savoring everyday simple moments. And that’s just what you’ll find in the events and activities planned for Hygge Week, which include outdoor pursuits like cross-country skiing, snowshoeing and fat-biking, as well as indoor events like card writing, knitting lessons by the fire, a comfort food cooking demonstration, live music and dancing, plus Scandinavian storytelling. This entry was posted in Travel on January 2, 2019 by Holly Galbus. Part I was published in Rochester Women magazine September/October 2018 issue. WE MADE SOME DAY TRIPS WHEN WE STAYED AT THE AGRITOURISMO FARM WITH OUR HOSTS, SYLVIA AND MICHELANGELO. We visited Loro Ciuffenna, an old town with fewer tourists than the main Tuscany towns, which was a blessing. The architecture and landscape were mesmerizing. Hair flying in the wind with the top down on a cute little convertible red Fiat 500 was the way to travel. Except for a few moments of terror with my friend at the wheel, we took the backroads and enjoyed the beautiful sights. Going through grittier parts of Italy, we passed several factories for designers like Prada, and got lost a few times. It was worth it to end up in the spa town of Saturnia and soak in the Cascate del Mulino hot springs. This entry was posted in Travel on November 1, 2018 by Dawn Sanborn. START YOUR CHRISTMAS CELEBRATIONS THIS YEAR BY REKINDLING THE WARMTH OF HOLIDAYS PAST. A Victorian Christmas is brought to life in the sights, sounds and tastes at Plainview’s Olde Fashioned Christmas, December 1 and 2. The event, organized each year by the Plainview Lions Club, is attended by nearly 3,000 people from the area. 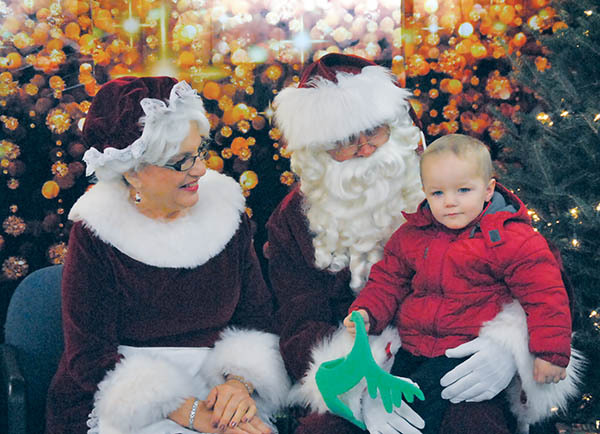 “It’s a very merry time, very festive,” says Dan Schmitz, president of the Lions Club. This year marks the 25th anniversary of Olde Fashioned Christmas, and organizers say they are planning some special surprises to celebrate. Plainview’s Olde Fashioned Christmas officially began in 1993 when a group of four townspeople, led by Ted Zabel, had the idea to expand upon wagon rides that were a Plainview Christmastime tradition for several years. Sally Harrington, one of those townspeople, recalls, “We all had young families at the time, and the kids had a ball helping out. In the beginning it was simple and short, but as the years went on, we drew in different parts of the community.” The first few years, attendees could visit a Victorian Christmas scene at the historic home of Curt and Sue Buck, located on Fourth Street. There was a choir singing carols, and Santa and Mrs. Claus were in the public library, awaiting guests. This entry was posted in Travel on November 1, 2018 by Holly Galbus. IF THERE IS JUST ONE WORD THAT COMES TO MIND WHEN SOMEONE ASKS ME TO DESCRIBE ITALY, IT’S “EXQUISITE.” FROM ITS LONG MEDITERRANEAN COASTLINE WITH SPECTACULAR VIEWS OF SOME OF THE MOST VARIED AND SCENIC LANDSCAPES ON EARTH, TO ITS CULTURE STEEPED IN ART, FAMILY, ARCHITECTURE, MUSIC AND FOOD, TO ITS ANCIENT RUINS—AND HOME TO SOME OF THE MOST FAMOUS STRUCTURES IN THE WORLD, INCLUDING THE COLOSSEUM AND THE LEANING TOWER OF PISA—HOW COULD ITALY NOT BE DESCRIBED AS EXQUISITE? Consider the swirling traffic and exuberance of life in the Italian capital city and it’s easy to believe “all roads lead to Rome.” The city can overwhelm you with its millennia of history, unrivaled art collections and neighborhoods that feel like small villages. 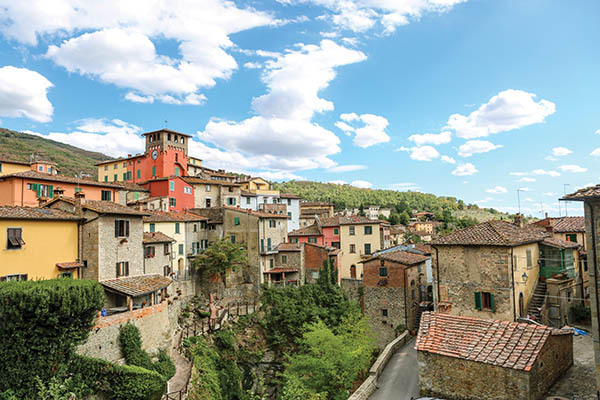 When you combine the enviable marriage of carpe diem (seize the day) and la dolce vita (the sweet life), you’ve got a city that will knock you out with excitement. This entry was posted in Travel on September 7, 2018 by Dawn Sanborn. FOR MANY PEOPLE IN SOUTHEASTERN MINNESOTA, FALL IS A FAVORITE TIME OF THE YEAR. THE LONG, HOT DAYS OF SUMMER GIVE WAY TO AUTUMN’S COOLER TEMPERATURES, THE LEAVES BEGIN TO CHANGE, AND THE SMELL OF WOOD SMOKE AND FRESH APPLES FILL THE AIR. WE ADMIRE THE CHANGE IN SEASONS AND PERHAPS THERE IS NO BETTER WAY TO CELEBRATE THAN AT WABASHA-KELLOGG’S SEPTOBERFEST SEPTEMBER 7 TO OCTOBER 27. Dawson says many people come to SeptOberfest to see the artistic displays of fall splendor sprinkled throughout the city. Crafters, artists and farmers use thousands of pumpkins, cornstalks, flowers, hay bales, gourds and squash to create fun fall scenes along the winding Mississippi River and majestic bluffs of the historic river town of Wabasha. This entry was posted in Travel on September 7, 2018 by Holly Galbus. FOR ME, TRAVEL—MOST OF WHICH IS SOLO—IS VERY PERSONAL. IT IS AN ESCAPE, AN ADVENTURE AND A JOURNEY OF PERSONAL DEVELOPMENT. I REALIZED, AFTER TALKING TO MANY WOMEN IN VARIOUS CIRCLES, THAT I MAY BE A BIT OF AN ANOMALY. TRAVELING ALONE WAS NEVER A BIG DEAL TO ME, BUT IT IS TO MANY WOMEN. I took my first big road trip to Austin, Texas. It was after an ugly breakup. Instead of sitting at home feeling sorry for myself, I reached out to a few outof- state friends to let them know that was looking to drive south for the week. I asked who wanted to have me as a visitor, and I wasn’t ready to say why. I had three responses within a few minutes, which was a boost to my self-confidence. Soon, I packed up my suitcase and my dog and started driving south. The questions I started getting from family and friends went something like, “Aren’t you scared?” or “What if something happens to you?” My first thought in response to these questions was: “Would you ever ask a guy these questions?” I don’t know why these societal disparities still exist, but it’s not the 1950s. Lastly, dangers lurk in our own backyards as much as the next town over or several states away. So, respectfully, I kept driving the 21 hours there and back. I had a wonderful time and, as you can tell, am still alive. 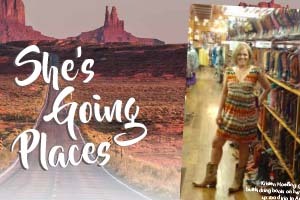 This entry was posted in Travel on July 1, 2018 by KRISTIN HOEFLING. 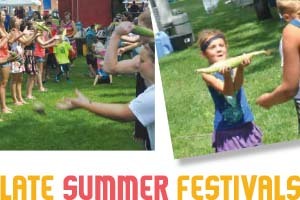 CORN ON THE COB AND WATERMELON, TWO FOODS THAT SURELY SAY ITS SUMMERTIME IN MINNESOTA, ARE CELEBRATED EACH YEAR AT FUN-FILLED FESTIVALS IN TWO AREA TOWNS. NOW IN ITS 49TH YEAR, THE PLAINVIEW LIONS CLUB WILL AGAIN HOST CORN ON THE COB DAYS, AUGUST 15-19. THE FIVE-DAY EVENT, WHICH ORIGINALLY BEGAN AS A WAY FOR THE PLAINVIEW COMMUNITY TO GATHER TOGETHER AND CELEBRATE THE BEGINNING OF THE SWEET CORN HARVEST, IS FILLED WITH ACTIVITIES, MUSIC AND GRAND PARADE AND A GIVEAWAY OF SWEET CORN THAT JUST MAY BE THE LARGEST CORN FEED EVER. The event kicks off Wednesday night with performances by gospel groups. The groups will perform in a tent set up in the parking lot at the Plainview American Legion. Thursday night, weather permitting, the film “Cars 3” will be shown beginning at 7:30 p.m. at Immanuel Lutheran School playground. On Friday, from 10:30 a.m. to 4 p.m., there will be an antique tractor display at Park Side Elder Care, and in the evening, the firemen’s dance, featuring JT and the Gunslingers, begins at 8 p.m. outside Plainview Liquor Store. There is lots of family fun scheduled for Saturday, including a fun run, beanbag tournament, kid’s games—such as a three-legged race, ice cream eating contest and corn cob toss—as well as a kid’s pedal pull, talent show and a kid’s water fight. From 8 p.m. to midnight, the band IV Play, from Mankato, will perform classic rock favorites at Kim’s Saloon & Grill. This entry was posted in Travel on July 1, 2018 by HOLLY GALBUS.